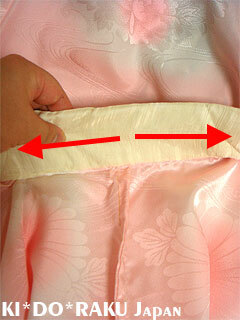 Wear KIMONO : Juban - KIDORAKU Japan - What a Kimonoful World! 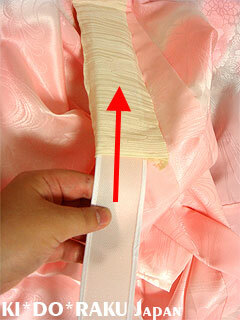 Before wearing Juban, insert "Eri-shin (Padding of kimono's neckband)" into neckband. and draw the neckband from center to right and left, with both of your hand.